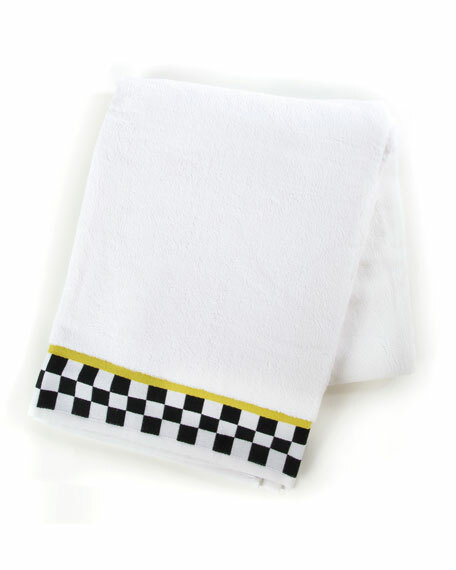 Cotton wash towel with classic ribbed dobby. 0.5" turned hem at top and bottom. 0.25" turned hem along both sides. 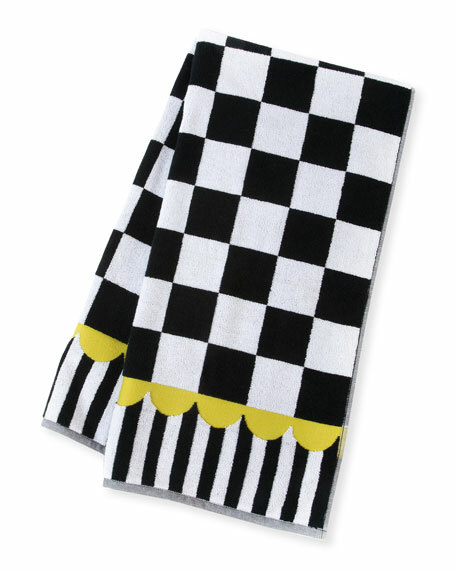 Cotton bath towel with classic ribbed dobby. 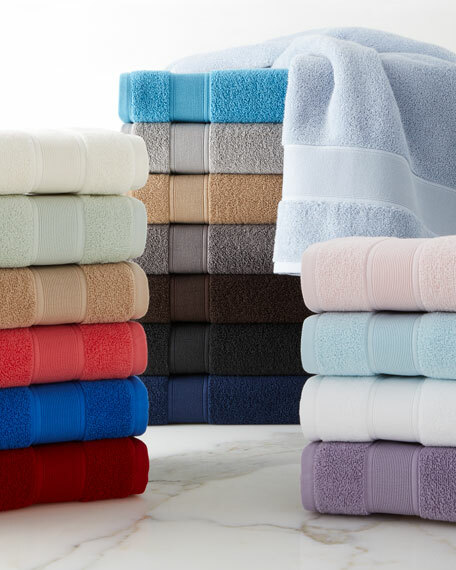 The Sanders Collection combines a timeless design with modern antimicrobial properties, including mildew resistance. 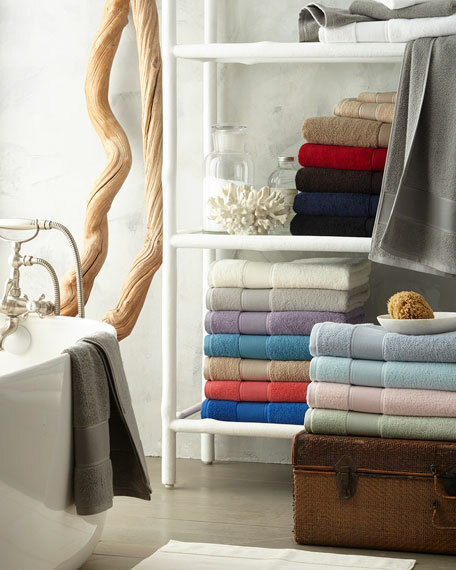 Cotton bath sheet with classic ribbed dobby. 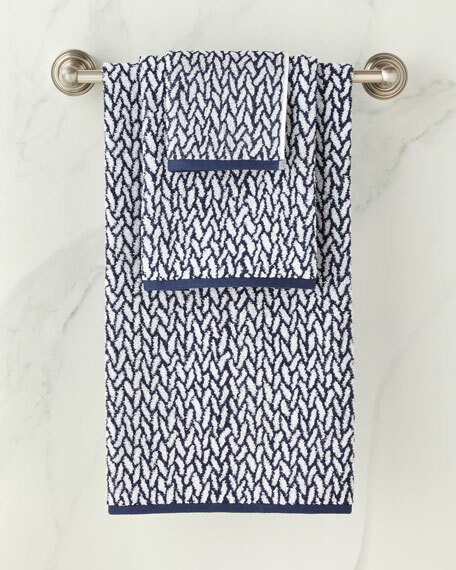 Cotton hand towel with classic ribbed dobby. Lauren Ralph Lauren Sanders Rug, 21" x 34"
We recommend use of a rug pad (not included). 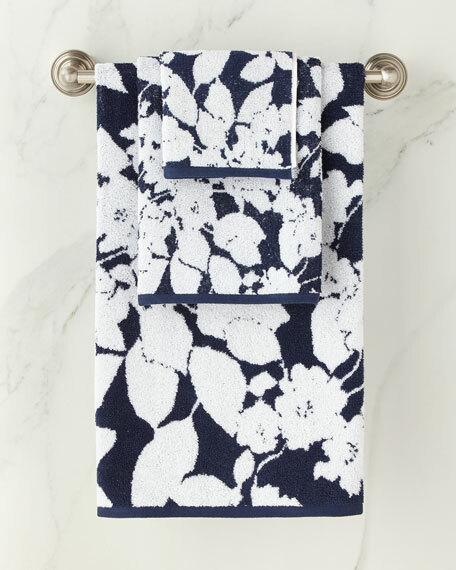 Lauren Ralph Lauren Sanders Rug, 17" x 24"
With their antimicrobial properties, the Sanders tub mat's premium fibers will help prevent mildew and keep your bath looking fresh and elegant.